Duration: 30 3-hour meetings and unlimited practical exercise time. Overall hours: at least 90 clock hours. 1. Diamonds- introduction: underground process, production methods. 2. The diamond crystal: identification of the crystal and molecular structure. 3. Processing: cleaving, sawing and polishing steps. 4. Ideal proportions: proportions meaning, projection on stones' beauty, sparkle, fire, life and finish. 5. Fancy cut stones: different shape cuts. 6. Gemological equipment: working with the microscope, loupe and UV lighting. 7. Clarity: grading the diamonds according to international labs grading methods. 8. Color: grading color using "master" stones. 10. 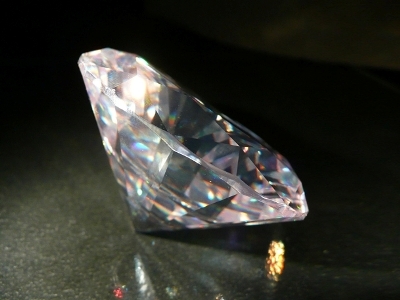 Diamond imitations: learn about stones which are used as a diamond imitation. 11. Pricing: learning how to calculate the price of a diamond according to the "Rapaport" guide. 12. 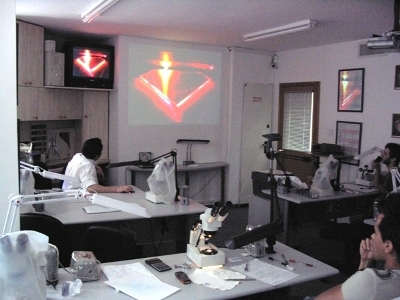 Laboratory: exercise on up to 120 diamonds with the use of gemological equipment and eye estimation. 13. Diamonds trading: sources, manufacturing centers, trading centers, the stock market and diamond investments. Graduation: upon successful completion of mandatory theoretical and practical tests.